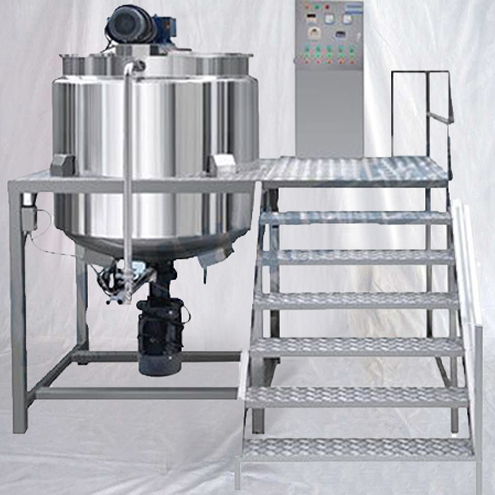 The liquid detergent homogenizing blending tank is mainly applicable for formulation of the liquid detergent such as dishwashing liquid, shampoo, body wash etc.) 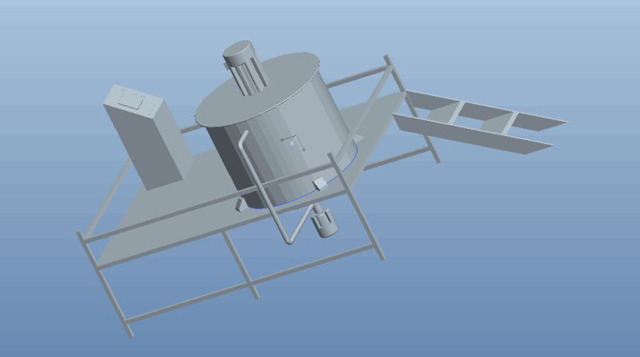 The blending tank combines blending, dispersing, heating, cooling, pump discharging and defoaming (optional) etc. 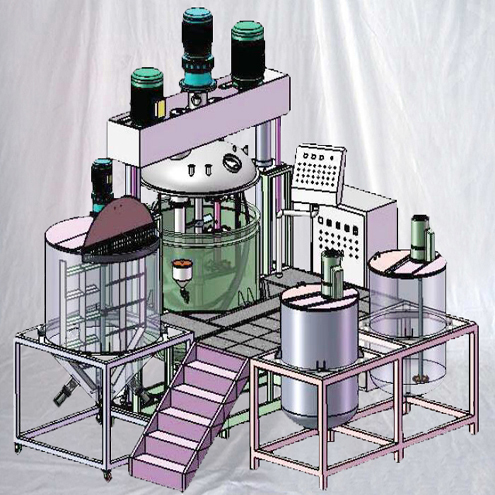 into one, making it the ideal equipment for manufacturers to formulate liquid detergent. Adopting frequency converter speed control, the all-round scraping blending is able to produce high quality product produced with different workmanship based on customer requirements. 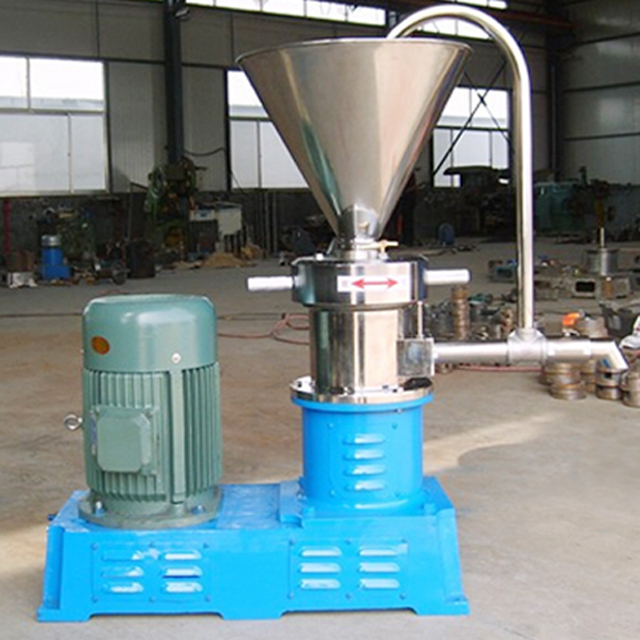 ♦A diversified high speed homogenizer, with intensive mixing of solids & liquid raw materials and fast dissolving of indissolvable materials like AES, AESA and LSA etc., saving energy and production time considerably. 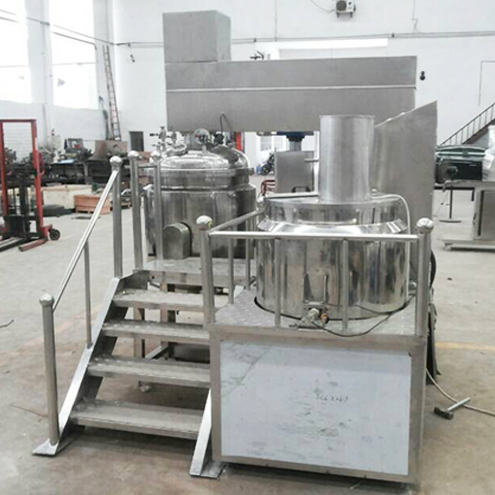 ♦Welding fabricated by three layers of stainless steel boards with body and pipelines bright finished, the tank is fully up to GMP requirements. 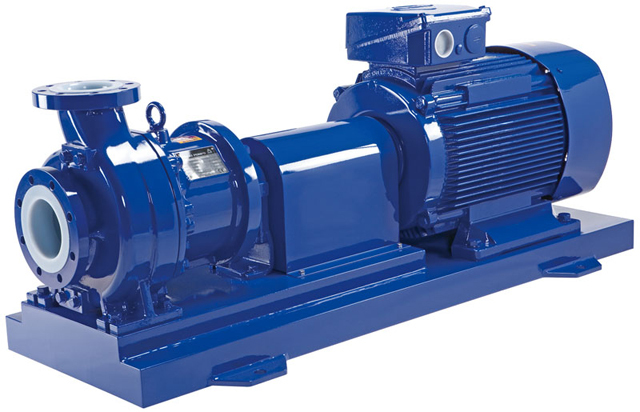 ♦ According to different requirements of workmanship, the tank body can head and cool materials with the way of heating by steam or electricity and with convenient material discharging either by direct discharging or being configured with pump for discharging. Skin cream, shaving cream, shampoo, toothpaste, cold cream, cold sun cream, cleanser, moisture cream, detergents, serums, moisturizers, hand cream and so on. Laundry detergent, hand sanitizer, toilet clean, automotive glass washer fluid and so on. Latex, emulsions, salves (ointments), oral syrup, oral liquid and so on. Sauce, cheese, nutrient solution, infant food, chocolate, saccharides and so on. Latex, sauce, saponification products, paints, coatings, resins, adhesives, lubricants and so on. The machine does not require pre-buries anchor screws. 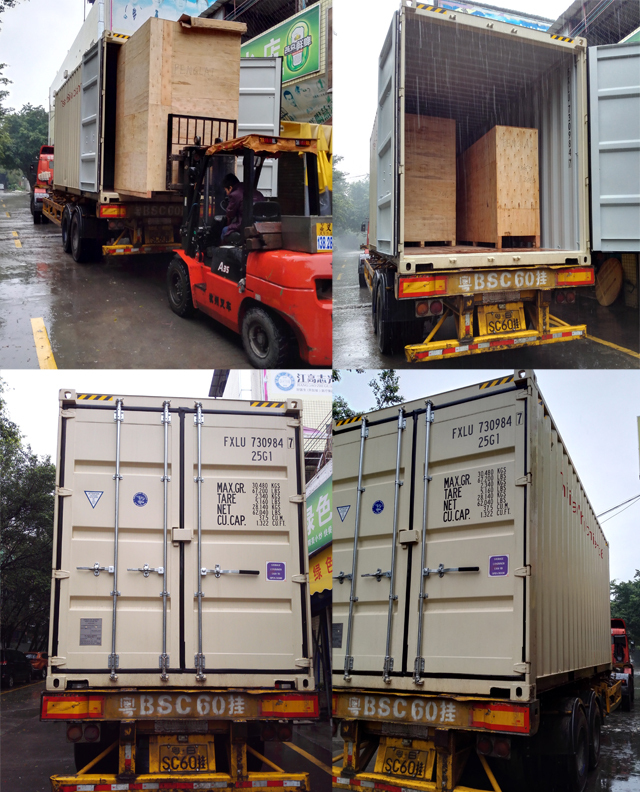 After it is unpacked, place the whole machine on solid and flat floor Once adjustments are finished, connect and fix well the water inlet hose, waste discharging hose, power supply and air source. The power supply wiring has already been numbered by 1-2-3-4-5-6-7, wire the wirings as per these numbers. 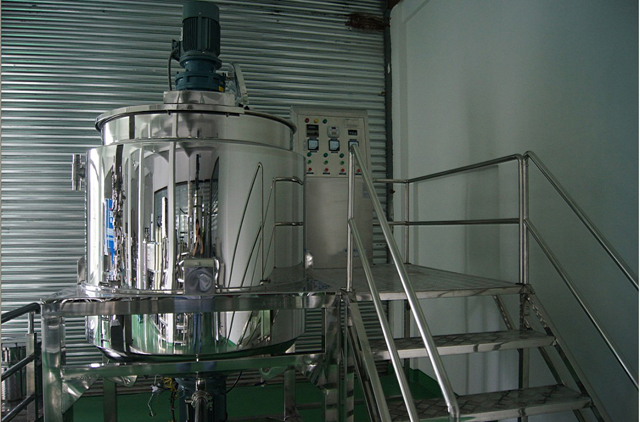 1.Emulsifying Temperature: to adjust and control the inner material temperature of the emulsifying tank. 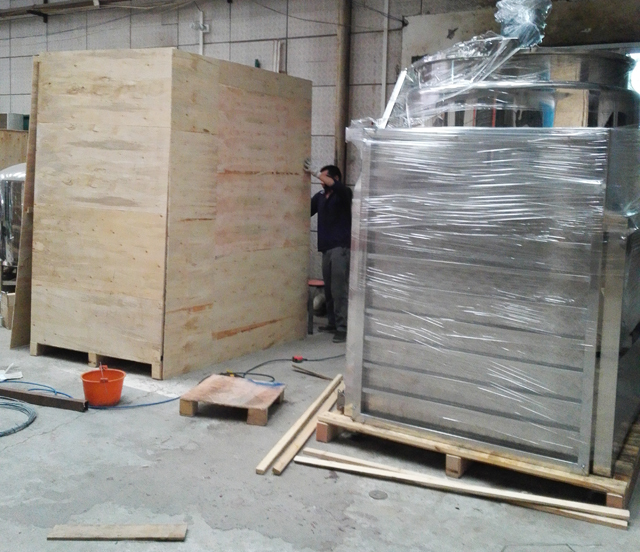 It is set according to the temperature requirement of customers’ actual production materials. 2.Emulsifying Current: The current display when the emulsifying motor works. 3.Homogenizing Current: The current display when the homogenizing motor (blending motor) works. 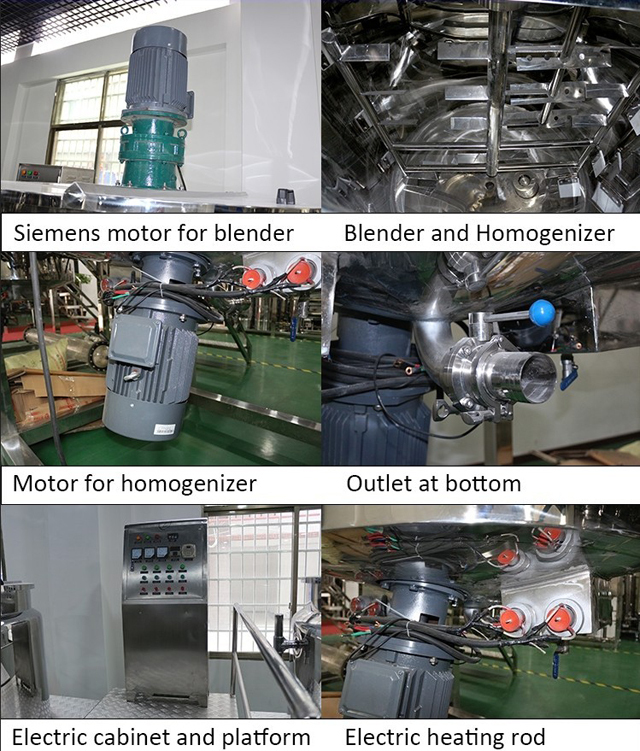 4.Homogenizing time: The working time of the homogenizing motor. It should be noted that the working time should not exceed 5 minutes. 5.Generally, 5 minutes’ emulsifying time is enough, if longer time is required, it is recommended to start after 10 minutes. 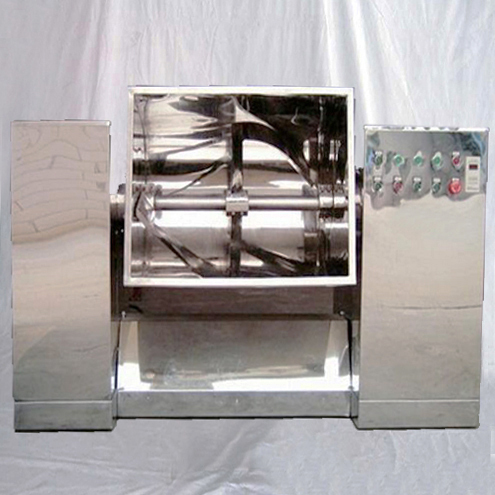 6.Emulsifying Speed: Controls the speed of the blending blades, for which when rotated clockwise, the speed goes up. 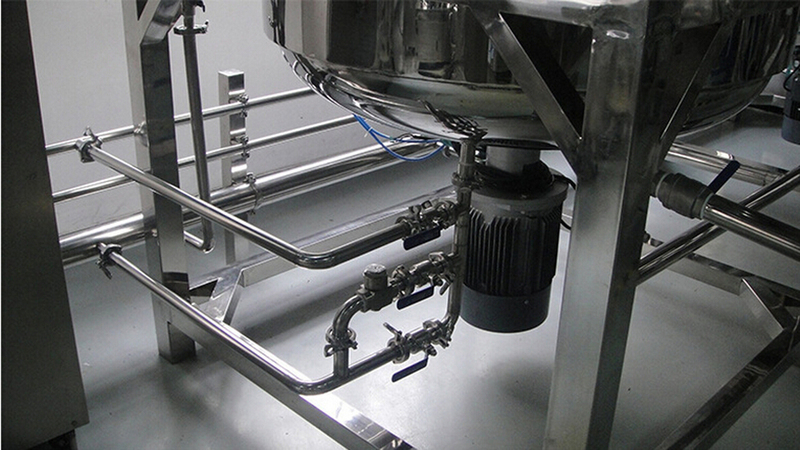 7.Emulsifying Heating: with total 4 switches for two groups of heating, one or two groups can be turned on based on actual heating requirements. 8.Homogenizing: Press the red button to start the up blending function and press again to stop. 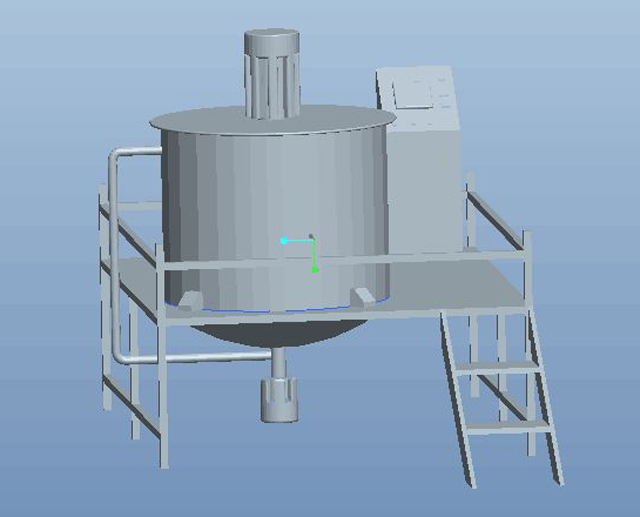 9.Emulsify: Press the red button to start the bottom emulsifying function with the emulsifying time already set to 5 minutes. 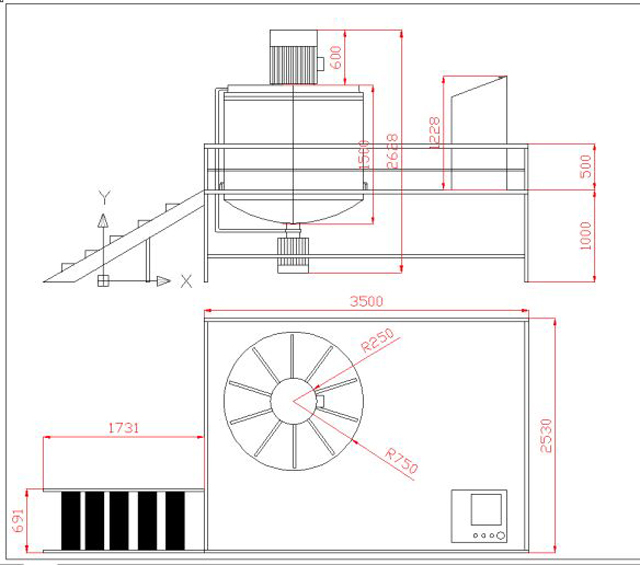 1.When the machine power reaches: 9*4 (heating tube)+11(emulsifying motor)+ 5.5( blending)=52.5kw, the machine with 220V 60Hz single phase current customized according to customer’s requirement, should be configured with 25 square millimeters copper wire as its power cable. When the machine power supply cord is connected, the bottom emulsifying function shall be tested in Jog run (press the red switch and then turn it off) to see if the motor rotates clockwise. If it goes counter-clockwise, change any the two wires of the three power wires. 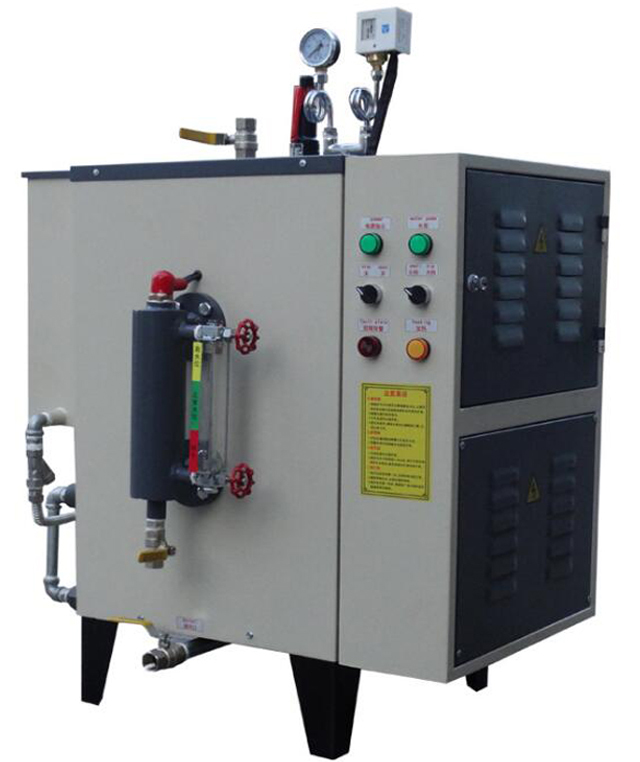 1.After machine is installed and started, before turning on the heating, the intermediate layer must be filled full with water, otherwise the heating tube will be burnt. (There is reminding sign there at the water inlet), after water is filled full, turn off the switch. 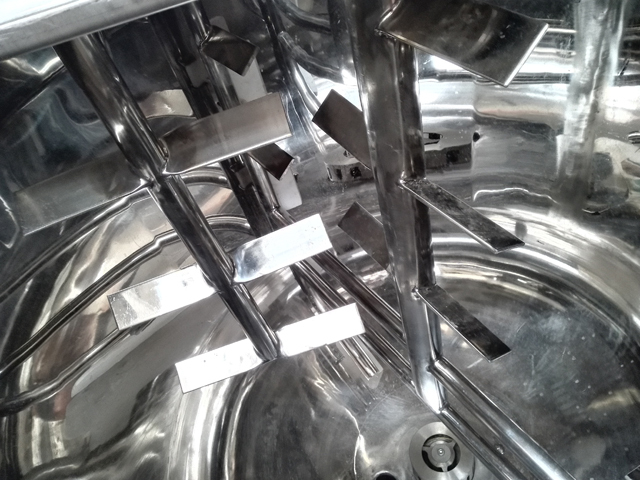 2.The water outlet of the intermediate layer shall not be turned off, but remains turned on always to decompress and discharge the heating water vapor. ( There is reminding sign there).